Bob Bonis (1932 – 1992) began his career in the music business in the late 1950s as a talent agent at MCA in New York City. He went on to hold an extraordinary position in the industry at a pivotal time in rock history – The British Invasion. Bonis was tour manager for all three of The Beatles’ U.S. tours and the Rolling Stones’ first five trips to the States spanning 1964 through 1966. He had a personal passion for photography and possessed a natural talent for composition matched with impeccable timing. His Leica M3 camera went everywhere with him and he documented the people he met and the places he visited. The combination of his love of photography and unparalleled access to these rock superstars enabled Bonis to document The Beatles’ and Stones’ meteoric rise from the beginning of the British Invasion to becoming two of the most influential bands in rock music history as no other photographer could. Bob Bonis captured extraordinary unguarded and intimate photographs of these iconic artists, most of which are seen here for the very first time. The combination of a gifted eye for composition and unequalled access to some of the most significant performers of the 20th century yielded a truly remarkable archive that includes intimate and iconic images of The Beatles, the Rolling Stones and more. The majority of the recently discovered photographs have never before been published, made available for purchase, or ever even seen by fans and collectors. Bob Bonis’ contribution to rock history is a magnificent collection of more than 3,500 historic photographs of two of the greatest bands in the world. During his career, Bonis shot more than 5,000 photographs of the most legendary acts in music history including: 2,700 Rolling Stones photos, 800 Beatles photos, plus an eclectic mix of images of Frank Sinatra with Buddy Rich, The Lovin’ Spoonful, Simon & Garfunkel, Chicago, Cream, The Hollies, Peter and Gordon and many of the jazz greats with whom he worked with over the years. 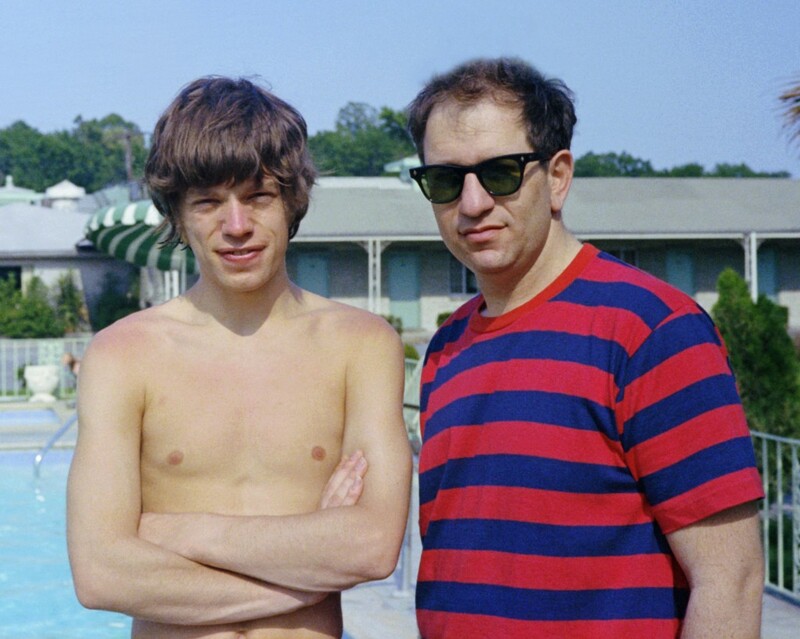 The unguarded and personal nature of these images reflect Bonis’ close friendship with the bands and offers a private, behind-the-scenes look into the early days of the historic British Invasion era of rock ‘n’ roll. HOW IT ALL STARTED: Bob Bonis started his career in the music industry as a talent agent at MCA in New York City. When MCA dissolved the talent agency, he started a management firm working with a variety of jazz and big band performers including Benny Goodman, Count Basie, Harry Belafonte, Carol Sloane, Gerry Mulligan and others. Standing over six feet tall and weighing over 200 pounds, Bonis was an intimidating figure who earned a reputation for being able to deal with the wise-guys that ran many of the jazz clubs. 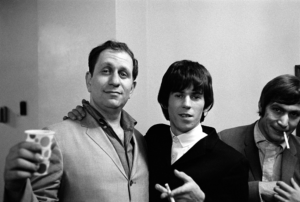 Because of this ability Bonis was asked to serve as the Rolling Stones’ tour manager for their first ever U.S. tour, in June of 1964. In an interview for the 1980s radio special The Rolling Stones: Past and Present, Bonis explained how he became the tour manager for the legendary group. “A friend of mine, Norman Weiss, asked me as a special favor, because I had a reputation for really taking care of troublemakers. [He asked me] to take care of these wise guys that are coming in from England, boy what a horrible reputation they had.” He continued, “I had my own management firm and I really wasn’t that interested in going on the road anymore. I had done that before. Weiss said ‘Really, you have to, really they’re great. '” Norman Weiss pulled out a Melody Maker magazine with an article titled, “Would You Let Your Sister Go With A Rolling Stone?” Impressed, Bonis said, “That’s a great sales pitch.” He concluded, “Anyway, I finally went with them and of course they were not the least a problem, terrible for their image I know, but they were really great.” Bonis did a great job of getting the Stones where they needed to be, and on time, which was quite a feat considering that the “bad boys” of the British Invasion worked hard to cultivate their reputation as troublemakers. His personal experience with them was quite the opposite and he developed a great friendship with the band that lasted long after his role as their tour manager ended. 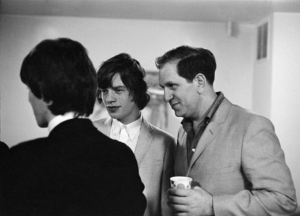 Following the Stones’ successful first U.S. visit, Norman Weiss, now the lead agent at GAC (General Artists Corporation), was tasked with hiring the crew for The Beatles’ first official tour of the United States. 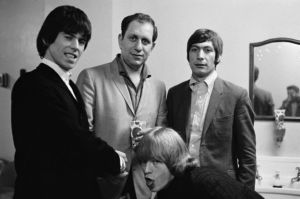 Bob had been so successful with the Stones that Norman immediately recommended him for the tour manager role and, with the Stones’ management’s endorsement, The Beatles’ manager Brian Epstein quickly approved. Bonis would go on to manage all three of The Beatles’ U.S. tours. The Beatles and Rolling Stones never toured America at the same time, fortunately, so Bonis was available to work with both bands. Bob Bonis was a private man, who never sought publicity. He did not have any aspirations to publish his photos or to write memoirs about his experiences with two of the greatest and most important bands in the history of rock ‘n’ roll. Bonis never participated in the fan culture or went to any conventions. He wasn’t interested in pursuing attention based on his past exploits and allowed only a handful of his photographs to be published in a few teen magazines in 1967. For almost 50 years the negatives and slides had been safely stored away, unbeknownst to anyone but his wife, son and closest friends. In 2008, 16 years after his death, Bonis’ son Alex decided the time had finally come to share these exciting and important photos with fans across the globe to honor his father’s legacy. The Bob Bonis Archive is the definitive collection for true fans, collectors, investors and anyone who wants to own a true piece of art and rock history. It is, by far, the largest previously unseen trove of photographs of The Beatles and Rolling Stones in the world. The massive archive boasts some of the most poignant, intimate and unguarded moments ever captured on film. In the years he toured with The Beatles and Rolling Stones, Bob Bonis became a lifelong fan and a friend to both groups. No one has captured these legendary artists in the same way and no one ever will. Bonis shared a moment in time with them when they transformed, almost overnight, into the iconic superstars we know today. Now you have an exclusive opportunity to re-live these defining and historic moments. Come take a ride back in time, through Bob Bonis’ lens, and experience the rock n’ roll journey of a lifetime.